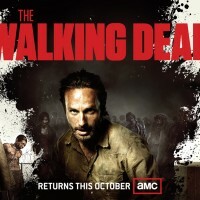 Episode 5 – The Walking Dead is Back! The Walking Dead has returned to AMC and the ZAMP crew is here to give you a spoiler filled discussion. However, Bob is missing this week and we’re pretty sure the zombies got him, but either way we expect him back very soon (alive or dead)! In the news we have a Left 4 Dead campaign based off of Shaun of the Dead, we look at a book that puts zombies on the Titanic, and a PSA for CPR (and zombies). Ryan gives us a better Weapon of Choice while Rick gives us a doozy of a Dead Decision.